By TLex Here's a preview of the new RALF TECH WRV "A" Hybrid BLACK due for release at Baselworld next week. Its 43.8mm matte black case is water-resistant to 200m. 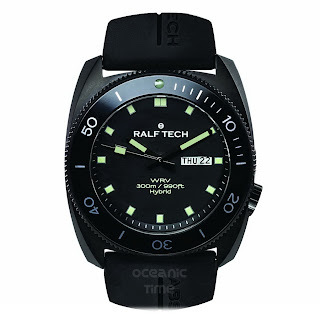 Its black dial is with C3 lume on its indexes and hands.